The first families have moved into their new homes on our £4 million affordable housing development overlooking Fishguard Bay. 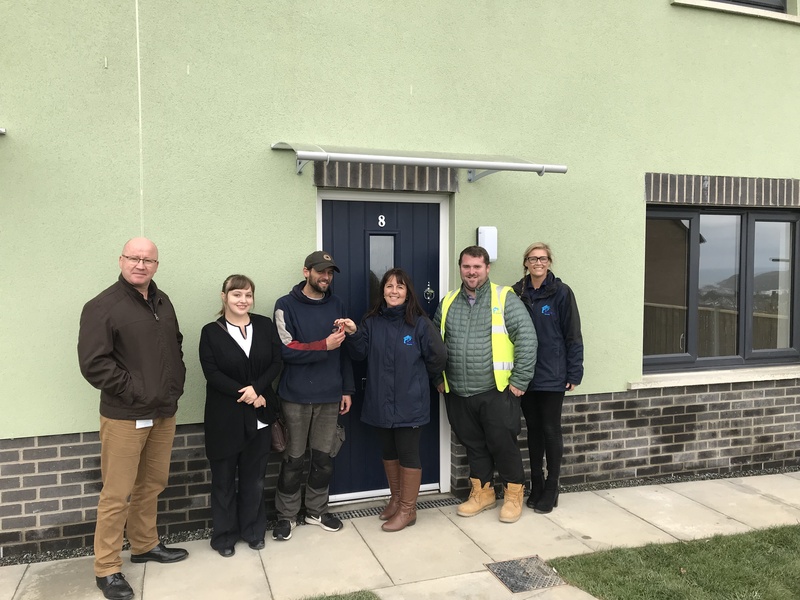 12 new homes on Wales & West Housing’s development at Parc y Cefn off Penwallis Road, have been completed ahead of schedule allowing local families waiting on the Pembrokeshire Choice Homes housing register to move in. 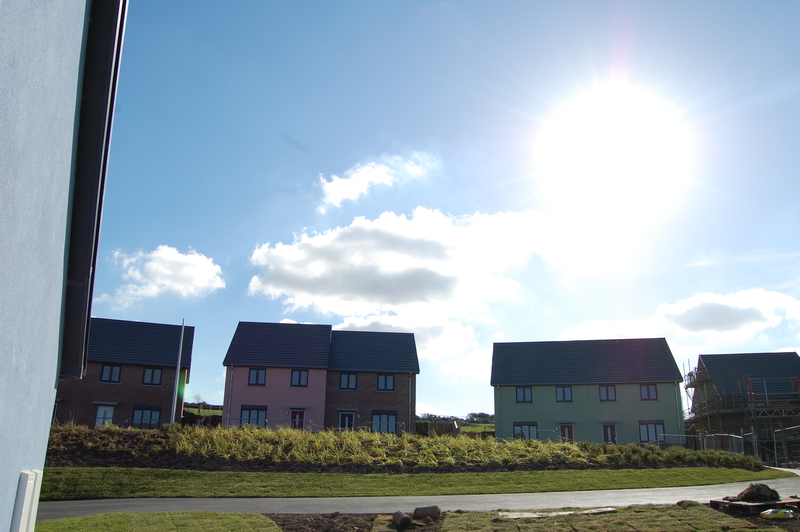 The properties are our first new large-scale housing development in Pembrokeshire. 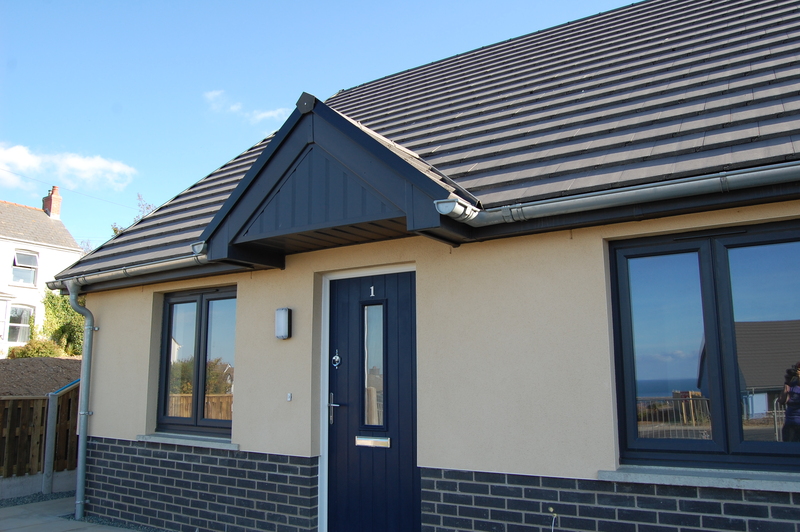 Work started on site in January and when completed in February 2019 will provide 30 houses, bungalows and apartments for affordable rent for local families living and working in the popular coastal town. Among the first residents to move into the homes on October 4 was Fishguard-born Shannon Ryan and her partner Shane. Shannon and her partner have two sons, aged three and one-month, were keen to move from their bungalow to a more suitable home. Shannon, who worked in the town’s Co-op supermarket until the birth of her first son, said: “I’ve always lived in Fishguard. My mother lives near the site and I have watched the houses being built so I’m really pleased that our family can move to Parc y Cefn. 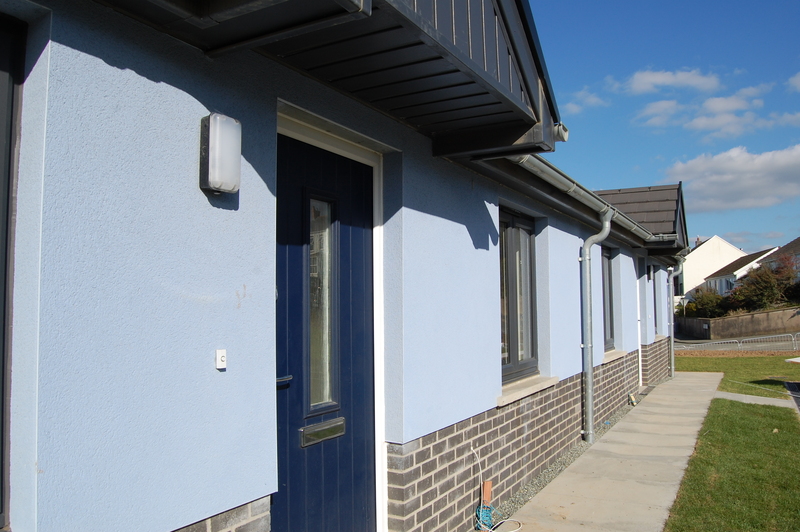 Wales & West Housing (WWH) employed Morgan Construction Wales to build the homes, which have been part funded by the Welsh Government in partnership with Pembrokeshire County Council. They are part of WWH’s ongoing investment in quality, affordable homes in the county. Work is also underway to build eight homes for affordable rent on the site of the Parrog Yard in Newport. Last year WWH also invested £850,000 modernising existing homes in Pembrokeshire by cleaning and decorating and fitting hundreds of new kitchens, bathrooms, windows and doors to its properties . The investment includes a £150,000 programme to clean up and modernise 32 homes on the neighbouring Gwelfor scheme in Fishguard. 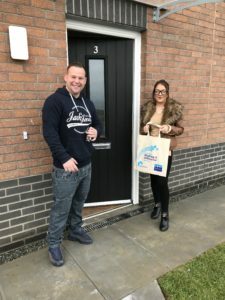 Glenda Bowen, Housing Manager for Wales & West Housing, said: “The families are so excited to be moving into the new homes as it is a beautiful area and the houses are so modern and warm. “We have worked closely with Pembrokeshire County Council to allocate the new properties to families on the Pembrokeshire Choice Homes register and everyone moving in lives in Fishguard and the surrounding area. They are being let to those people most in need of homes they can afford to rent and heat and that suit their needs. For the disabled and older residents moving in to the bungalows, they will make a huge difference to their lives and wellbeing. 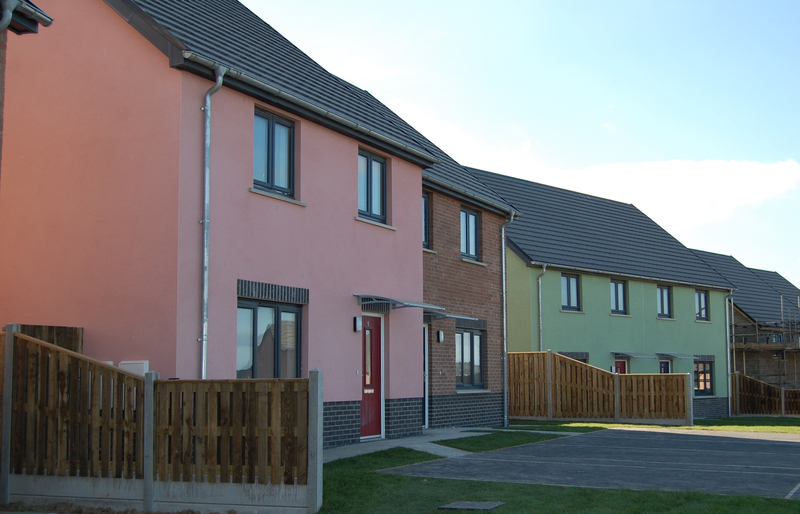 Fishguard councillor Pat Davies, Pembrokeshire County Council’s Cabinet Member for Housing and Regulatory Services, said: “Wales & West Housing has done a great job of sensitively developing the Parc y Cefn site. The homes are well-designed and I’m delighted that the first phase is complete.